Expanding your boundaries is what it is all about, that's what we believe. The world is at your feet and you can accomplish anything. We continuously challenge our students, staff, and partners to discover and develop their talents. It is the road that leads to innovation by collaborating with the professional field and the immediate environment. All of the study programmes at NHL Stenden University of Applied Sciences are accredited by the Dutch-Flemish Accreditation Organisation (NVAO). This way, you are ensured to receive a high-quality education, which meets the international education standards. 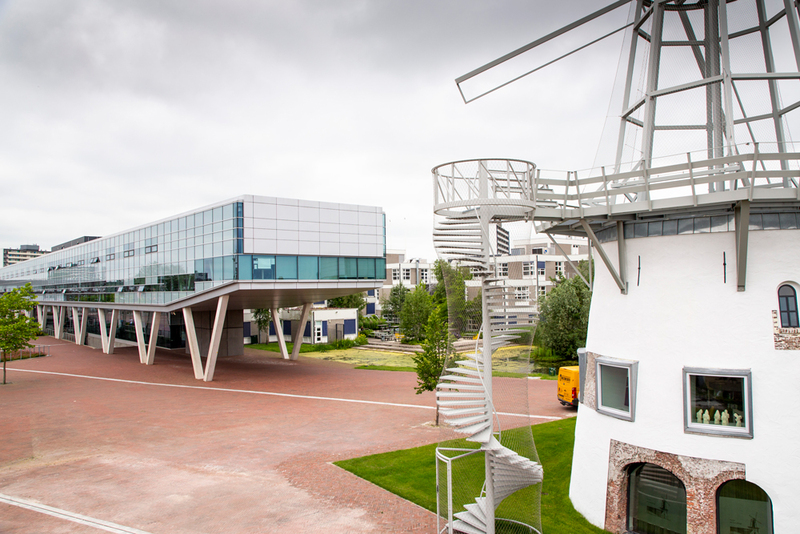 We are a multi-campus university of applied sciences, with Dutch roots but with a strong international focus. That is why we have international branch campuses in Bali, Qatar, South Africa, and Thailand, as part of our 'Grand Tour'. We strive to find new ways to integrate education, research, and the latest developments in the professional world. Our students, lecturers, and researchers work together in small teams on real-life cases. They test their innovative ideas in practice. Our courses incorporate trends and developments in all industries and at a national as well as an international level. The future calls for enterprising and resourceful professionals. Professionals who know how to translate their knowledge into innovative solutions. They will have the vision and courage they need to look beyond their own professional field. After successfully completing a master, you will receive a Double Degree: a British Masters of Arts Degree and a Dutch Masters Degree. The master programmes are accredited by both the Dutch government and the London Metropolitan University. With Design-Based Education (DBE) turns ideas into practical solutions. In small, inter-disciplinary teams, students work on assignments from actual clients. This is the best way to prepare for your future field. This way of working places a strong focus on the personal development of our students; they are responsible for their own learning path. Our new educational concept will be used in 32 of our courses, from September 2018 onwards. It will also be implemented in the remaining study programmes in the years to come.